I added this raven tag to the back of a black envelope. 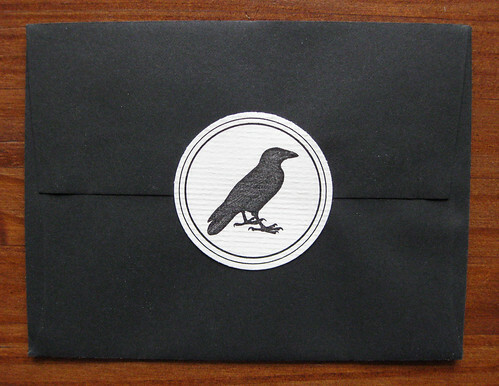 There was a raven on the card inside, much like this. 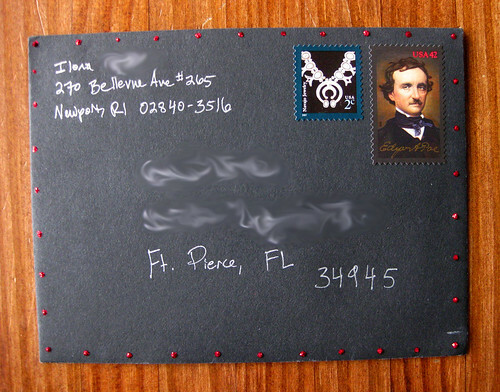 Of course, a Poe stamp was required. Black envelopes are quite handy to have around. Oh, delightful, Scotia! I do love to enable. :-) Seriously, glad to be helpful in my links. 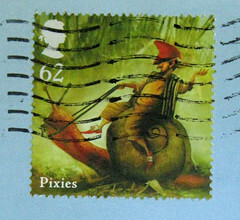 I always appreciate it when I see links on other blogs, so I try to do the same. I'm sure the artist appreciates the business.